Hardball is a British 45 minute game show television series, which kicked off on May 14, 2018, on BBC One and is broadcast every Monday at 16:30. The show is currently in its 1st season. BBC One is yet to announce the renewal of Hardball for Season 2 as well as its cancelation. Sign up to track down the show's status and its release date. 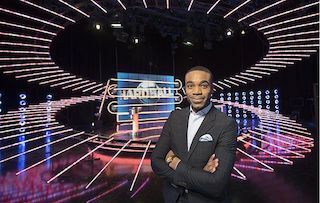 Hardball is the nail-biting, high-speed quiz show in which six contestants compete against each other for the chance to win thousands of pounds, but have they got what it takes to outrun the Hardball? The aim of the game is simple: contestants must get as far down a long, winding track as they can by answering rapid-fire general knowledge questions. Every correct answer moves them one square along the track. However, they're being constantly hunted down by a rolling ball that never stops - the Hardball, and as soon as it passes them, the game is over. The race is on to stay as far ahead of the Hardball, and their opponents, as they can, because round by round whoever makes the least progress will be going home.